The Local Governing Body (LGB) at Hereward consists of 10 people (plus Associate Members, as agreed) - the Headteacher and 9 others elected for a specific period of time. 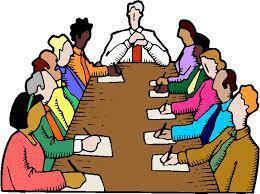 The Chair and Vice-Chair are appointed by the members of the Local Governing Body. The Staff Governor is elected by their peers. The other governors are either elected or appointed for a four-year period, which may be reviewed by agreement or re-election. The Headteacher is a member as the most senior teacher responsible for the day to day management of the school and the quality of teaching provided to pupils. Associate Members are governors the same as the other members of the Governing Board, but they cannot take part in any vote which takes place. The composition of the Local Governing Body ensures that there is an extensive pool of knowledge and experience available to help and support the Headteacher and staff. Each individual governor brings individual strengths and skills to the LGB. The role does not require specialist stills, just an ability to listen, help develop new ideas, challenge the school appropriately and decide what is best for the school as part of a co-ordinated team. The skills required are those to oversee the success of the school, not to do the school's job for it.